UCL Energy’s Professor Philip Steadman is leading on the project for the Greater London Authority, whose eventual aim is to allow owners to assess the solar potential of their property. The Energy Institute has won a project to develop a London Solar Opportunity Map for the Greater London Authority. This will support the Mayor’s Solar Action Plan, whose target is to achieve 1 GW of installed solar energy capacity by 2030, and 2 GW by 2050. 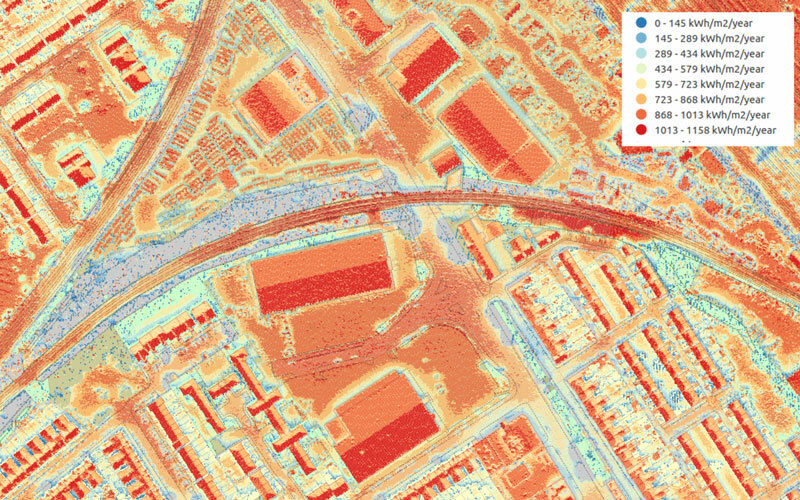 The project will produce an online map of annual solar radiation received on all roofs and areas of open land across the city out to the M25 motorway. The geometry of buildings and roofs, and the topography of the terrain, will be modelled using the 3DStock method developed at the Institute, in combination with high-resolution LiDAR (laser measurements made from overflying aircraft). The calculations will take account of obstructions by neighbouring buildings. The potential for solar photovoltaic and solar thermal installations at every building and suitable site will then be estimated. The map is intended to help in the development of GLA programmes and projects, and to provide an accessible tool with which owners can assess the solar potential of their properties.